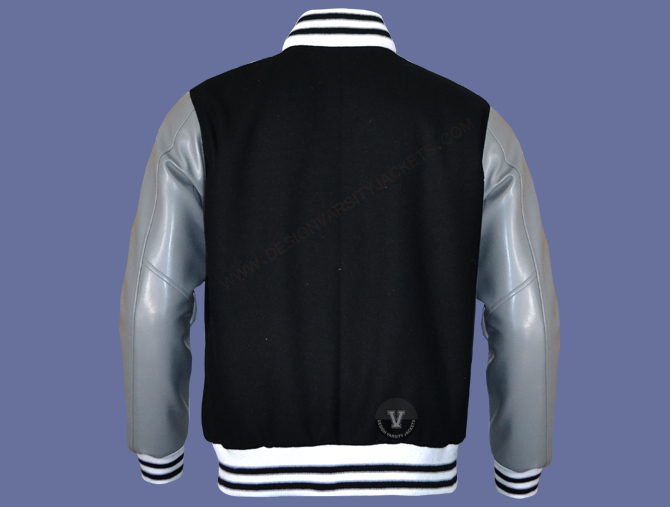 Varsity Letterman Jackets made of Top Quality Wool Black and Genuine Leather Sleeves Grey. 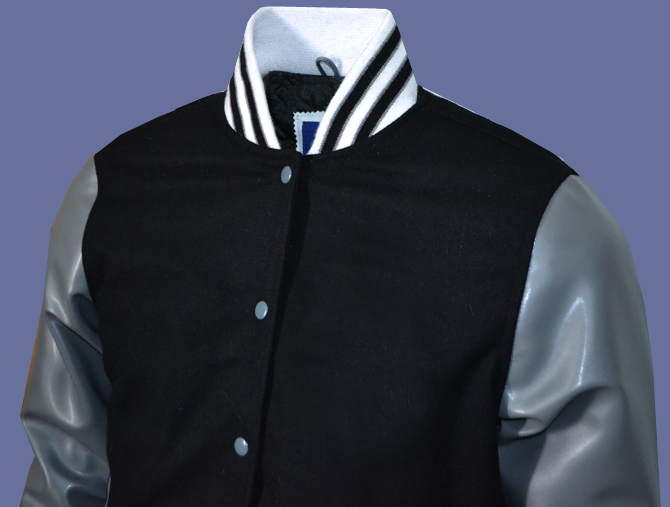 We made it high quality acrylic ribbing bottom, collar, cuff, high quality varsity snaps and inside quilted diamond laser lining for this Varsity Letterman Jackets. 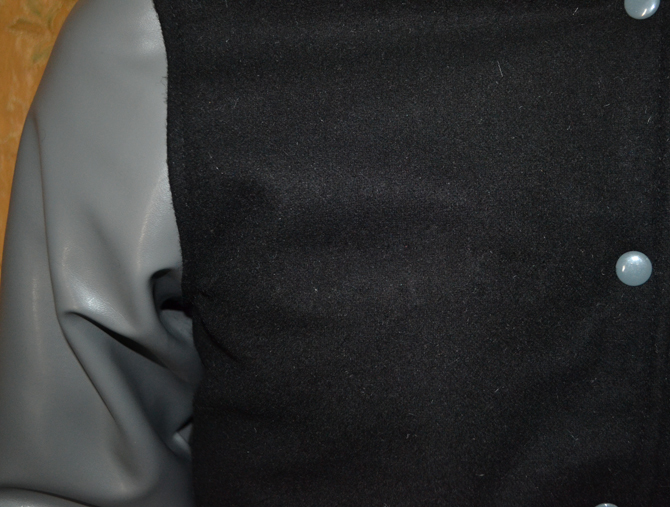 We used genuine leather for pockets trims and inside pocket for this Custom Letterman Jackets with hood. We have lot of promotions whole the years as per different occasions and events like Christmas and New Year or some are special event. We offer special discount on these events and sometime free shipping offer. please see our notification bar on top of home page. 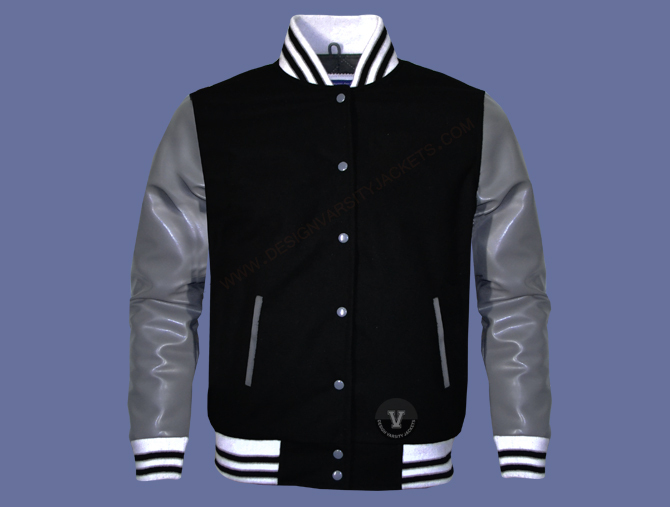 You can get our discount offers on Varsity Letterman Jackets for women and Varsity Letterman Jackets for men.